"It is absolutely essential to the success of this piece that it should be played with the most perfect earnestness and gravity throughout. There should be no exaggeration in costume, makeup or demeanour; and the characters, one and all, should appear to believe, throughout, in the perfect sincerity of their words and actions. Directly the actors show that they are conscious of the absurdity of their utterances the piece begins to drag." After all, the carpet was only one of a number of disputed items, and the real issue lay not in the mere money value of these things, but in whether Carte could be trusted with the financial affairs of Gilbert and Sullivan. Gilbert contended that Carte had at best made a series of serious blunders in the accounts, and at worst deliberately attempted to swindle the others. 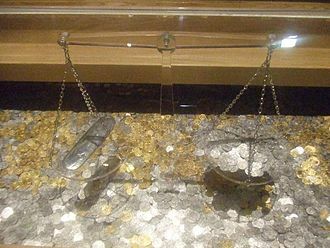 It is not easy to settle the rights and wrongs of the issue at this distance, but it does seem fairly clear that there was something very wrong with the accounts at this time. Gilbert wrote to Sullivan on 28 May 1891, a year after the end of the "Quarrel", that Carte had admitted "an unintentional overcharge of nearly £1,000 in the electric lighting accounts alone." 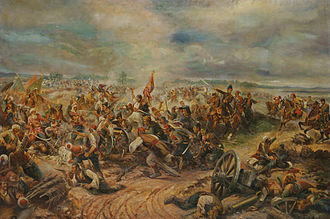 ^ He first joined the 5th West Yorkshire Militia, and later the Royal Aberdeenshire Highlanders. On leaving the Militia, Gilbert was given an honorary promotion to Major. ^ See also the introduction to Gilbert, W. S. (1908), The Bab Ballads, etc., which details the history of the collections it was drawn from. ^ See also Tom Robertson's play Society, which fictionalised the evenings in Evans's café in one scene. ^ David Eden (in Gilbert and Sullivan: The Creative Conflict 1986) and Andrew Crowther both speculate that the play was written in collaboration with Gilbert's father. ^ The full quote refers to Pygmalion and Galatea and reads: "The satire is shrewd, but not profound; the young author is apt to sneer, and he has by no means learned to make the best use of his curiously logical fancy. That he occasionally degrades high and beautiful themes is not surprising. To do so had been the regular proceeding in burlesque, and the age almost expected it; but Gilbert's is not the then usual hearty cockney vulgarity." 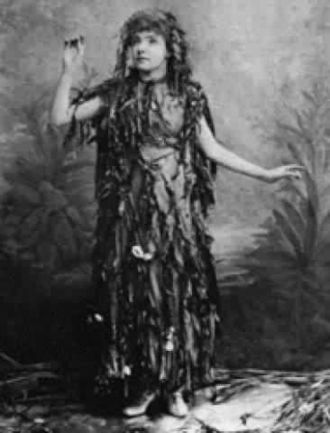 ^ Gilbert gave a speech in 1885 at a dinner to benefit the Dramatic and Musical Sick Fund, which is reprinted in The Era, 21 February 1885, p. 14, in which he said: "In ... the dress circle on the rare occasion of the first performance of an original English play sits a young lady of fifteen. She is a very charming girl—gentle, modest, sensitive—carefully educated and delicately nurtured ... an excellent specimen of a well-bred young English gentlewoman; and it is with reference to its suitability to the eyes and ears of this young lady that the moral fitness of every original English play is gauged on the occasion of its production. It must contain no allusions that cannot be fully and satisfactorily explained to this young lady; it must contain no incident, no dialogue, that can, by any chance, summon a blush to this young lady's innocent face. ... I happen to know that, on no account whatever, would she be permitted to be present at a première of M. Victorien Sardou or M. Alexandre Dumas. ... the dramatists of France can only ring out threadbare variations of that dirty old theme—the cheated husband, the faithless wife, and the triumphant lover." ^ This rehearsal was probably for a second run of Ages Ago in 1870. 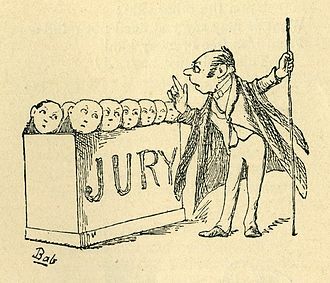 ^ Richard Traubner quotes Sullivan's recollection of Gilbert reading the libretto of Trial by Jury to him: "As soon as he had come to the last word he closed up the manuscript violently, apparently unconscious of the fact that he had achieved his purpose so far as I was concerned, in as much as I was screaming with laughter the whole time." ^ See also Feingold, Michael, "Engaging the Past", The Village Voice, April 27, 2004: "Wilde pillaged this piece for ideas." ^ Pinafore, Patience and The Mikado each held the position of second longest-running musical theatre production in history for a time (after adjusting Pinafore's initial run down to 571 performances), and The Gondoliers was not far behind. ^ Stedman notes some of Sullivan's cuts to Gondoliers to remove anti-monarchist sentiments. ^ The last phrase is a satiric take on Cicero's De Legibus, 106 B.C. ^ Bradley, Chapter 1 and passim. ^ Stedman (1996), pp. 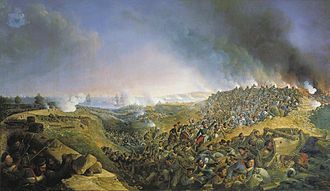 26–29. ^ Stedman (1996), pp. 16–18. ^ a b c d Bond, Jessie, Reminiscences, Introduction. ^ Crowther (2000), p. 35. See also Gilbert's play, Topsyturveydom. ^ Cox-Ife, passim. See also Gilbert, W. S., "A Stage Play" and Bond, Jessie, Reminiscences, Introduction. ^ Gilbert, W. S.. A Stage Play. ^ Walbrook, H. M. (1922), Gilbert and Sullivan Opera, a History and Comment (Chapter 3). ^ Corry, John. "Stage: W. S. Gilbert's Engaged", The New York Times, 30 April 1981; Spencer, Charles. "W S Gilbert's original cynicism", The Daily Telegraph, 4 December 2002; Gardner, Lyn, "Engaged", The Guardian, 2 December 2002; and Nestruck, J. Kelly. "Shaw Festival's Engaged is W. S. Gilbert alone, and still outrageously funny ", The Globe and Mail, 28 June 2016. ^ a b List of longest running London shows through 1920. ^ Foggerty's Fairy: Crowther, Andrew. "Foggerty's Failure", The Gilbert and Sullivan Archive, 29 August 2011, accessed 22 July 2016; and Comedy and Tragedy: Stedman (1996), pp. 204–05. ^ See, e.g. Jacobs (1992); Crowther (2011); and Bond, Jessie. Chapter 16, The Gilbert and Sullivan Archive, accessed 22 July 2016. ^ Stedman (1996) p. 251. ^ Charles II Statue Archived 5 April 2015 at the Wayback Machine at LondonRemembers. ^ PG Wodehouse (1881–1975) guardian.co.uk, accessed 21 May 2007. ^ Lesson 35—Cole Porter: You're the Top PBS.org, American Masters for Teachers, accessed 21 May 2007. ^ Green, Edward. "Ballads, songs and speeches", BBC, 20 September 2004, accessed 16 October 2006. Bond, Jessie (1930). The Life and Reminiscences of Jessie Bond, the Old Savoyard (as told to Ethel MacGeorge). London: John Lane, The Bodley Head. OCLC 1941674. Bradley, Ian (2005). Oh Joy! Oh Rapture! The Enduring Phenomenon of Gilbert and Sullivan. Oxford: Oxford University Press. ISBN 978-0-19-516700-9. Cox-Ife, William (1978). W. S. Gilbert: Stage Director. London: Dobson. ISBN 978-0-234-77206-5. Crowther, Andrew (2000). Contradiction Contradicted – The Plays of W. S. Gilbert. Associated University Presses. ISBN 978-0-8386-3839-2. Gilbert, W. S. (1892). Foggerty's Fairy and Other Tales. London: George Routledge and Sons. OCLC 3873303. Gilbert, W. S. (1911). Original Plays: First Series. London: Chatto and Windus. OCLC 436914141. Gilbert, W. S. (1908). Original Plays: Second Series. London: Chatto and Windus. OCLC 19348369. Gilbert, W. S (1969). Terence Rees, ed. The Realm of Joy: Being a Free and Easy Version of "Le roi candaule" by Henri Meilhac. London: Terence Rees. ISBN 978-0-9500108-1-6. Gilbert, W. S. (1931). Isaac Goldberg, ed. New and original extravaganzas, by W. S. Gilbert, Esq., as first produced at the London playhouse. Boston: Luce. OCLC 503311131. Jacobs, Arthur (1992). Arthur Sullivan – A Victorian Musician (Second ed.). Portland, OR: Amadeus Press. ISBN 978-0-931340-51-2. Pearson, Hesketh (1957). Gilbert: His Life and Strife. London: Methuen. OCLC 771800508. Stedman, Jane W. (1996). 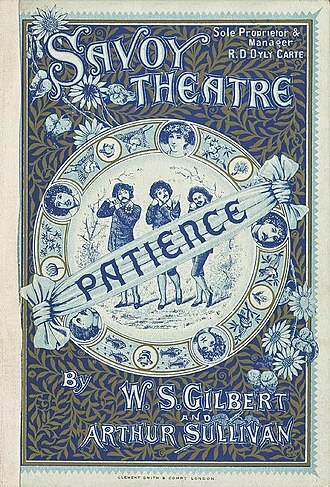 W. S. Gilbert, A Classic Victorian & His Theatre. Oxford University Press. ISBN 978-0-19-816174-5. Stedman, Jane W. (2000). W. S. Gilbert's Theatrical Criticism. London: The Society for Theatre Research. ISBN 978-0-85430-068-6. Scott, Mrs Clement (1918). Old Days in Bohemian London. New York: Frederick A. Stokes. OCLC 1454858. Wolfson, John (1976). Final Curtain: The Last Gilbert and Sullivan Operas. London: Chappell. ISBN 978-0-903443-12-8. Wren, Gayden (2006). A Most Ingenious Paradox: The Art of Gilbert & Sullivan. Oxford: Oxford University Press. ISBN 978-0-19-514514-4. Bradley, Ian (1996). The Complete Annotated Gilbert and Sullivan. Oxford, England: Oxford University Press. ISBN 978-0-19-816503-3. Gilbert, W. S. (1969). Jane W. Stedman, ed. Gilbert Before Sullivan–Six Comic Plays by W. S. Gilbert. Chicago: The University of Chicago Press. OCLC 597003. Gilbert, W. S. (2018). Andrew Crowther, ed. The Triumph of Vice and Other Stories. Alma Classics. ISBN 978-1-84-749754-3. Wikimedia Commons has media related to W. S. Gilbert. Richard DOyly Carte was an English talent agent, theatrical impresario and hotelier during the latter half of the Victorian era. Carte started his working for his father, Richard Carte, in the music publishing. As a young man, he conducted and composed music, Carte believed that a school of wholesome, well-crafted, family-friendly, English comic opera could be as popular as the risqué French works dominating the London musical stage in the 1870s. To that end, he brought together the dramatist W. S. Gilbert and composer Arthur Sullivan and, together with his wife Helen Carte and he founded the DOyly Carte Opera Company and built the state-of-the-art Savoy Theatre to host the Gilbert and Sullivan operas. Carte built the Savoy Hotel in London, and acquired other luxury hotels and his opera company, operated by Helen and by his son and granddaughter, promoted those works for over a century, and they are still performed regularly today. Carte was born in Greek Street in the West End of London on 3 May 1844 and he was the eldest of six children. His father, Richard Carte, was a flautist, and his mother was the former Eliza Jones, they had eloped, to the disappointment of her father, Thomas Jones and his siblings were Blanch, Rose and Eliza. Carte was of Welsh and Norman ancestry, DOyly is a Norman French name which was a forename, to supplement his income as a performer, Cartes father joined the firm of Rudall, Rose & Co. musical instrument makers and music publishers, in 1850. After he became a partner in the business, it changed its name to Rudall, Carte and Co. and to Rudall, Carte was brought up in Dartmouth Park Road. His cultured mother exposed her family to art and poetry, the family spoke French at home two days a week, and his parents often took their children to the theatre. He was educated at University College School, which he left in 1860, in 1861, he achieved First Class level in the matriculation examination and attended University College, London. However, he that year to work in his fathers business, along with his brother. The Honourable Society of the Inner Temple, commonly known as Inner Temple, is one of the four Inns of Court in London. To be called to the Bar and practise as a barrister in England and Wales and it is located in the wider Temple area of the capital, near the Royal Courts of Justice, and within the City of London. The Inn is a body that provides legal training, selection. It is ruled by a council called Parliament, made up of the Masters of the Bench, and led by the Treasurer. 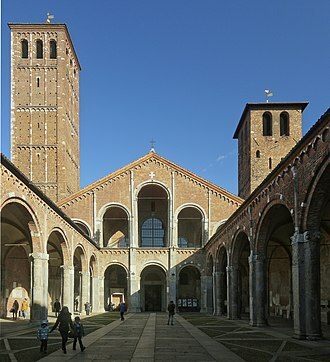 The Temple takes its name from the Knights Templar, who leased the land to the Temples inhabitants until their abolition in 1312. 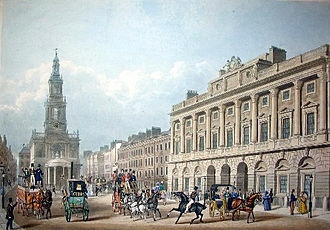 The Inner Temple was a society from at least 1388. After a disruptive early period it flourished, becoming the second largest Inn during the Elizabethan period, the Inner Temple expanded during the reigns of James I and Charles I, with 1,700 students admitted between 1600 and 1640. 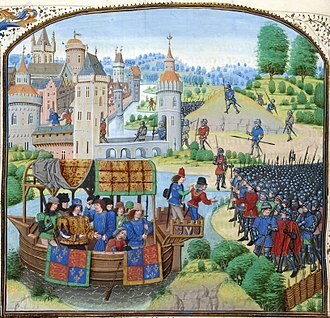 The First English Civil Wars outbreak led to a suspension of legal education. Following the English Restoration the Inner Templars welcomed Charles II back to London personally with a lavish banquet. After a period of decline in the 18th century, the following 100 years saw a restoration of the Temples fortunes, with buildings constructed or restored, such as the Hall. Much of this work was destroyed during The Blitz, when the Hall, Temple Church, rebuilding was completed in 1959, and today the Temple is a flourishing and active Inn of Court, with over 8,000 members. The Inner Temple is one of the four Inns of Court, along with Grays Inn, Lincolns Inn, and the Middle Temple. The Inns are responsible for training and selecting barristers within England and Wales, the Temple is an independent, unincorporated organisation, and works as a trust. It has approximately 8,000 members and around 450 apply to join per year, the original Temple covered much of what is now the northern part of Chancery Lane, which the Knights created to provide access to their new buildings. 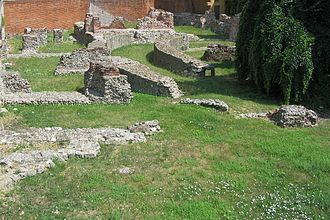 The old Temple eventually became the London palace of the Bishop of Lincoln, after the Reformation it became the home of the Earl of Southampton, and the location is now named Southampton Buildings. Sir Francis Cowley Burnand, usually known as F. C. Burnand, was an English comic writer and prolific playwright, best known today as the librettist of Arthur Sullivans opera Cox and Box. From his schooldays he had written plays, and from 1860 until the end of the 19th century, he produced a series of more than 200 Victorian burlesques, pantomimes. 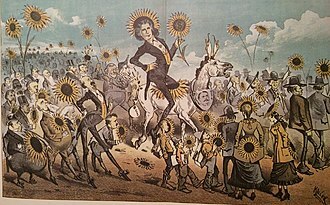 His early successes included the burlesques Ixion, or the Man at the Wheel and The Latest Edition of Black-Eyed Susan, or, in 1866, he adapted the popular farce Box and Cox as a comic opera and Box, with music by Sullivan. The piece became a favourite and was frequently used by the DOyly Carte Opera Company as a curtain raiser. By the 1870s, Burnand was generating an output of plays as well as comic pieces. Among his 55-stage works during the decade was another frequently revived hit, for Punch, among other things, he wrote the popular column Happy Thoughts, in which the narrator recorded the difficulties and distractions of everyday life. Also admired were his burlesques of other writers works, Burnand was a contributor to Punch for 45 years and its editor from 1880 until 1906 and is credited with adding much to the popularity and prosperity of the magazine. His editorship of the publication of The Diary of a Nobody by the brothers George. Many of his articles were collected and published in book form and his stage successes in the 1890s included his English-language versions of two Edmond Audran operettas, titled La Cigale and Miss Decima. His last works included collaborations on pantomimes of Cinderella and Aladdin, in other forms of theatre Burnand was outstandingly successful, with his works receiving London runs of up to 550 performances and extensive tours in the British provinces and the US. 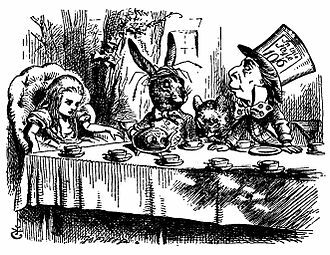 He published several books and memoirs and was knighted in 1902 for his work on Punch. Burnand was born in central London, the child of Francis Burnand and his first wife Emma, née Cowley. Burnand senior, a stockbroker, was descended from an old Savoyard family, prominent in the trade, his wife a was a descendant of the poet. Burnand was educated at Eton, aged fifteen, he wrote a farce, Guy Fawkes Day, played at Cookesleys house, while at Eton, he submitted some illustrations to the comic weekly magazine, one or two of which were published. The Pirates of Penzance, or, The Slave of Duty is a comic opera in two acts, with music by Arthur Sullivan and libretto by W. S. Gilbert. The operas official premiere was at the Fifth Avenue Theatre in New York City on 31 December 1879, where the show was well received by both audiences and critics. Its London debut was on 3 April 1880, at the Opera Comique, the story concerns Frederic, having completed his 21st year, is released from his apprenticeship to a band of tender-hearted pirates. He meets Mabel, the daughter of Major-General Stanley, and the two people fall instantly in love. Frederic soon learns, that he was born on the 29th of February and his indenture specifies that he remain apprenticed to the pirates until his twenty-first birthday, meaning that he must serve for another 63 years. Bound by his own sense of duty, Frederics only solace is that Mabel agrees to wait for him faithfully, Pirates was the fifth Gilbert and Sullivan collaboration and introduced the much-parodied Major-Generals Song. The opera was performed for over a century by the DOyly Carte Opera Company in Britain and by other opera companies. Pirates remains popular today, taking its place along with The Mikado, Pinafore as one of the most frequently played Gilbert and Sullivan operas. The Pirates of Penzance was the only Gilbert and Sullivan opera to have its premiere in the United States. At the time, American law offered no protection to foreigners. After the pairs previous opera, H. M. S, Gilbert and their producer, Richard DOyly Carte, failed in their efforts, over the next decade, to control the American performance copyrights to Pirates and their other operas. Fiction and plays about pirates were ubiquitous in the 19th century, walter Scotts The Pirate and James Fenimore Coopers The Red Rover were key sources for the romanticised, dashing pirate image and the idea of repentant pirates. 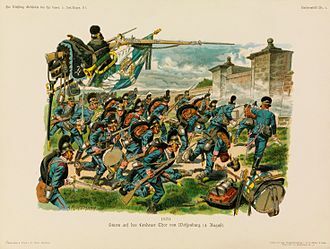 Both Gilbert and Sullivan had parodied these ideas early in their careers, Sullivan had written a comic opera called The Contrabandista, in 1867, about a hapless British tourist who is captured by bandits and forced to become their chief. 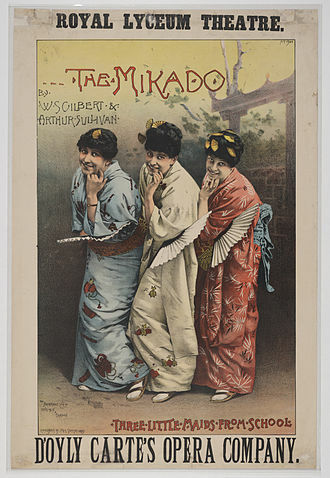 The Mikado, or, The Town of Titipu is a comic opera in two acts, with music by Arthur Sullivan and libretto by W. S. Gilbert, their ninth of fourteen operatic collaborations. 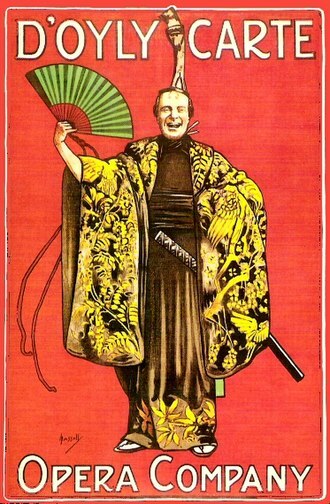 Before the end of 1885, it was estimated that, in Europe and America, the Mikado remains the most frequently performed Savoy Opera, and it is especially popular with amateur and school productions. The work has translated into numerous languages and is one of the most frequently played musical theatre pieces in history. Setting the opera in Japan, a locale far away from Britain, allowed Gilbert to satirise British politics. Gilbert and Sullivans opera immediately preceding The Mikado was Princess Ida, which ran for nine months, on 22 March 1884, Carte gave Gilbert and Sullivan contractual notice that a new opera would be required within six months. Sullivans close friend, the conductor Frederic Clay, had suffered a stroke in December 1883 that effectively ended his career. Gilbert, who had started work on a new libretto in which people fall in love against their wills after taking a magic lozenge, was surprised to hear of Sullivans hesitation. Gilbert was much hurt, but Sullivan insisted that he could not set the lozenge plot, in addition to the improbability of it, it was too similar to the plot of their 1877 opera, The Sorcerer. Sullivan returned to London, and, as April wore on, Gilbert tried to rewrite his plot, but he could not satisfy Sullivan. However, by 8 May 1884, Gilbert was ready to back down, writing, am I to understand that if I construct another plot in which no element occurs. A consistent plot, free from anachronisms, constructed in perfect good faith & to the best of my ability, the stalemate was broken, and on 20 May, Gilbert sent Sullivan a sketch of the plot to The Mikado. It would take ten months for The Mikado to reach the stage. 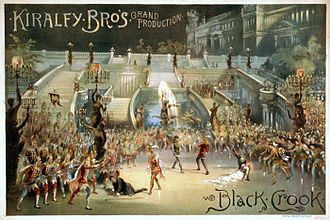 A revised version of their 1877 work, The Sorcerer, coupled with their one-act piece Trial by Jury, played at the Savoy while Carte, Gilbert eventually found a place for his lozenge plot in The Mountebanks, written with Alfred Cellier in 1892. A trifling accident inspired him with an idea, One day an old Japanese sword that, for years, had been hanging on the wall of his study, fell from its place. Pinafore, or, The Lass That Loved a Sailor is a comic opera in two acts, with music by Arthur Sullivan and a libretto by W. S. Gilbert. 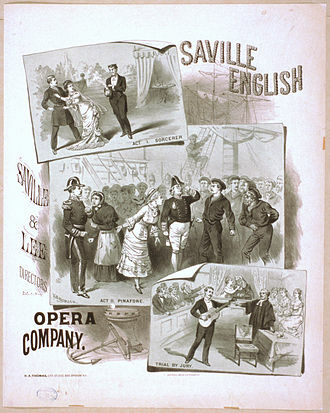 It opened at the Opera Comique in London, on 25 May 1878 and ran for 571 performances, Pinafore was Gilbert and Sullivans fourth operatic collaboration and their first international sensation. The story takes place aboard the ship HMS Pinafore, the captains daughter, Josephine, is in love with a lower-class sailor, Ralph Rackstraw, although her father intends her to marry Sir Joseph Porter, the First Lord of the Admiralty. She abides by her fathers wishes at first, but Sir Josephs advocacy of the equality of humankind encourages Ralph and they declare their love for each other and eventually plan to elope. The captain discovers this plan, but, as in many of the Gilbert and Sullivan operas, drawing on several of his earlier Bab Ballad poems, Gilbert imbued this plot with mirth and silliness. The operas humour focuses on love between members of different social classes and lampoons the British class system in general, Pinafore pokes good-natured fun at patriotism, party politics, the Royal Navy, and the rise of unqualified people to positions of authority. The title of the piece comically applies the name of a garment for girls and women, pinafores extraordinary popularity in Britain and elsewhere was followed by the similar success of a series of Gilbert and Sullivan works, including The Pirates of Penzance and The Mikado. Their works, known as the Savoy operas, dominated the stage on both sides of the Atlantic for more than a decade and continue to be performed today. The structure and style of these operas, particularly Pinafore, were copied and contributed significantly to the development of modern musical theatre. 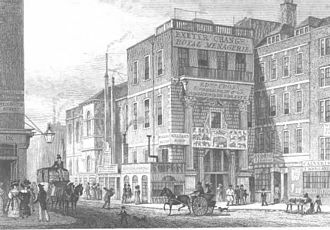 In 1875, Richard DOyly Carte, who was managing the Royalty Theatre for Selina Dolaro, brought Gilbert and Sullivan together to write their second show. With this theatre company, Carte finally had the resources, after many failed attempts, to produce a new full-length Gilbert. This next opera was The Sorcerer, which opened in November 1877 and it too was successful, running for 178 performances. Sheet music from the show well, and street musicians played the melodies. Iolanthe, or, The Peer and the Peri is a comic opera with music by Arthur Sullivan and libretto by W. S. Gilbert. It is one of the Savoy operas and is the seventh of fourteen operatic collaborations by Gilbert, in the opera, the fairy Iolanthe has been banished from fairyland because she married a mortal, this is forbidden by fairy law. Her son, Strephon, is an Arcadian shepherd who wants to marry Phyllis, All the members of the House of Peers want to marry Phyllis. When Phyllis sees Strephon hugging a young woman, she assumes the worst, the opera satirises many aspects of British government and society. Iolanthe opened in London on 25 November 1882, at the Savoy Theatre to a reception, and ran for 398 performances. The opera opened simultaneously in New York, and touring companies were sent around the UK, the first Australasian touring production followed in 1885, and the opera was revived in London beginning in 1901. The DOyly Carte Opera Company toured the opera nearly continuously in repertory from 1891 until 1982, numerous other professional and amateur productions have been given of this enduring work, and various other recordings have been issued. W. S.
Gilbert presented his idea for a new opera to Arthur Sullivan in October 1881. 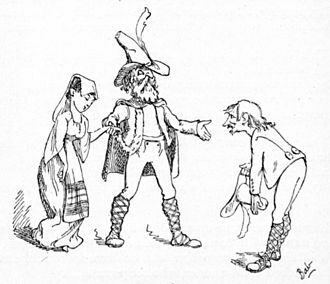 Gilberts earliest ideas for the story of Iolanthe originated in his Bab Ballad, The Fairy Curate, Once a fairy / Light, the fairy marries a prosaic attorney and bears him a son. After her son grows up, she visits him on Earth, Sullivan found the premise funny, and Gilbert set to work on fleshing out the story. By December, he had some lyrics for Sullivan to look at. During these months, Sullivan took a trip to Egypt, Italy. 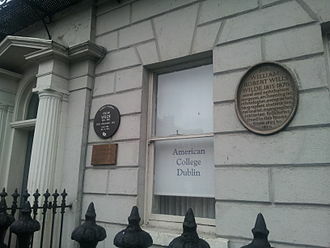 Upon his return to London in April 1882, he moved into a new home, in May, by the end of July 1882, Gilbert had supplied Sullivan with lyrics to several of the songs, and Sullivan began work setting them to music. Over the next two months, Sullivan met Gilbert to discuss the libretto as more lyrics were completed, Music rehearsals began in September, and staging began in October, scheduled around performances of Gilbert and Sullivans previous opera, which had transferred to the Savoy Theatre. Sullivan was still composing more numbers for the opera until 20 October, uncharacteristically, Sullivan composed the overture himself, instead of assigning it to an assistant. Southampton Street looking north in the rain from the southern Strand end, with Covent Garden Market in the distance. Tavistock Street and Maiden Lane, a staggered crossroads on Southampton Street. Clock in Southampton Street, outside the British Computer Society offices, looking south towards the Strand. From The History of "Punch"